In the new digital age, not many databases have hard copies. Computers have revolutionized the way that people live, from their banking accounts to their personal memories. While it’s an enormous convenience with endless potential, technology has in some ways, secured business operations while at the same time made them vulnerable. Holding the information in a secure place to be called up efficiently when you need it, is undeniably a necessity for the global workplace. But, so too is ensuring that the information is not accessible by unscrupulous hackers. Where there is a weakness, someone is going to exploit it for their own fortune. And that is exactly what ransomware is all about. Ransomware is a form of malware that locks access to stored database information until a ransom is paid to regain access to that information. The college found out too late that all of their records had been hijacked across multiple servers. IT professionals didn’t catch the ransomware in time, and it was able to knock out the entire system from emails to phone systems, forcing the college to completely stop their operations. The cyberthieves were paid their ransom, and they then gave the college an encryption key that would unlock each system separately. An arduous and time-consuming task, but at least no data was lost in the process. The incident at Los Angeles Valley College is just one of thousands in recent months. All around the globe, ransomware is being transmitted on “secure” systems and threatens to shut down entire operations if it’s not removed. Cybersecurity experts are then called in to remove the malware before it is allowed to either irreparably damage the information or make it disappear altogether. To counteract ransomware, many companies are taking out “cyber-insurance.” There has been a huge rise in cyber-insurance policies in the past several years. The problem is that even if an organization has it, there aren’t many instances where the policy will pay for ransomware. 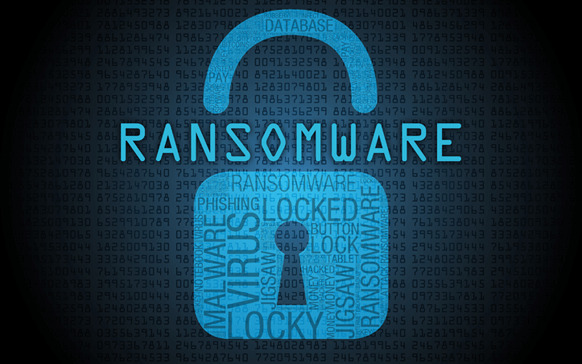 The thought is that if companies continue to give in to ransomware, they will be discouraged from paying the costs of updating their security to ensure that their data is held safe, instead just paying out after it has been hijacked. Companies have the decision to either take out cyber-insurance policies with increasing premiums, or they can use cyber prevention security to ensure that their data is safe. Although updating security may seem like a hefty cost, having information that is critical to the viability of your company held for ransom can be much more devastating. If you choose to take out an insurance policy instead of keeping your information safe, you run a pricey risk. It is always better to safeguard the keys to your organization, rather than trying to recover what has been lost. If you are ready to ensure that your company or business isn’t ever held for a ransom or open to hackers, contact us to analyze your vulnerabilities and develop a plan to keep your operating systems and networks ransomware-free. Prevention is always the best plan, especially in the world where everything is digital. Visit our ransomware page for more information.